Zanco Tiny T1 expected price in India is ₹2,799. When it will come in Bangladesh i want to buy it. It's an amazing phone. I will surprised when i saw it. 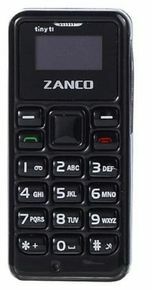 There is no official update about Indian or bangladesh launch of Zanco tiny t1.